Wishing everyone the best on International Chess Day! Book a Chess Camp in Your Own Home! This is an exclusive invitation to have your children spend a week or weekend with some of California’s most popular chess coaches in the comfort of your own home. 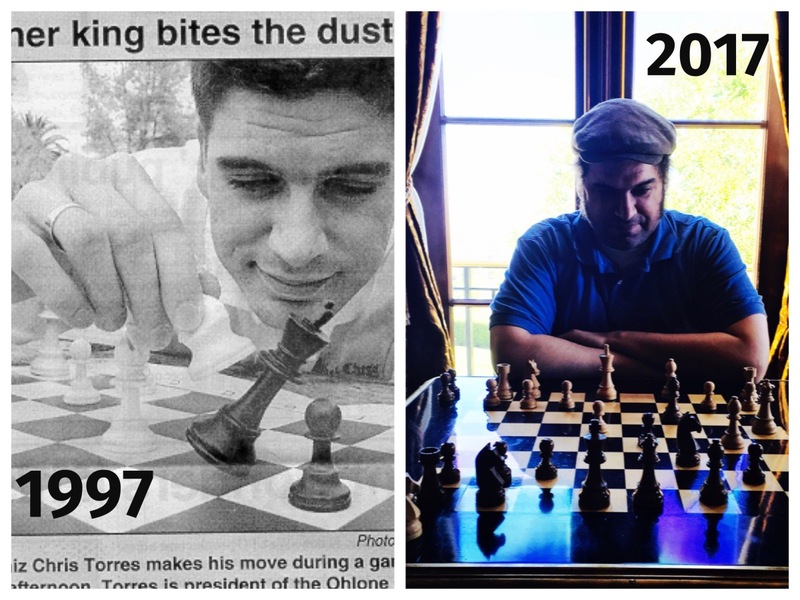 Let the Torres Chess and Music Academy take away the worry of driving your children to chess camp by booking us to bring our world-class instruction to you. 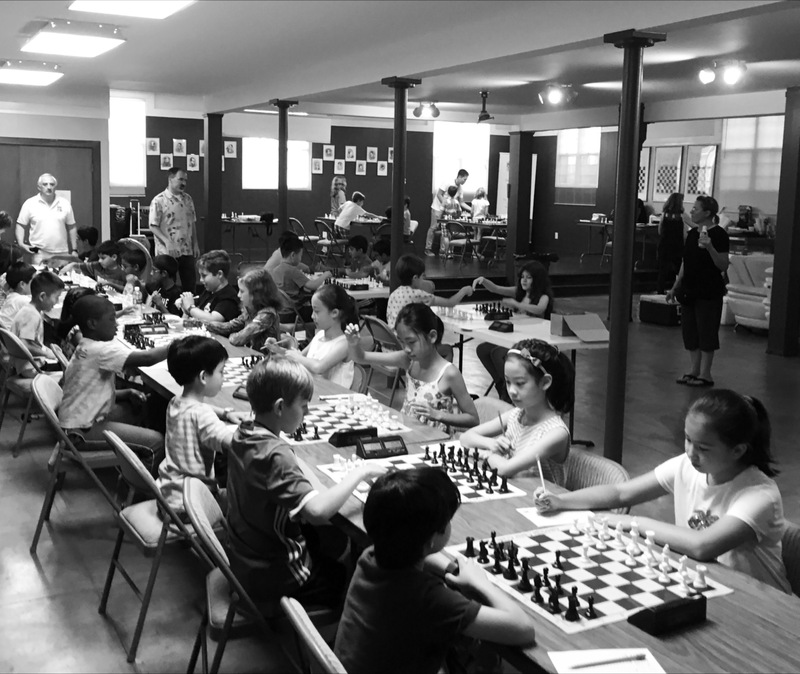 We will bring all the sets, clocks and other materials necessary for a first rate chess camp to your home or sponsored location. Our coaches each have decades of experience teaching children the most practical endgame strategies, incredible techniques to spotting game winning tactics and the most dominating opening lines from actual games. Please contact us with any ideas for your camp and we will work with you, always understanding time constraints and budgets. 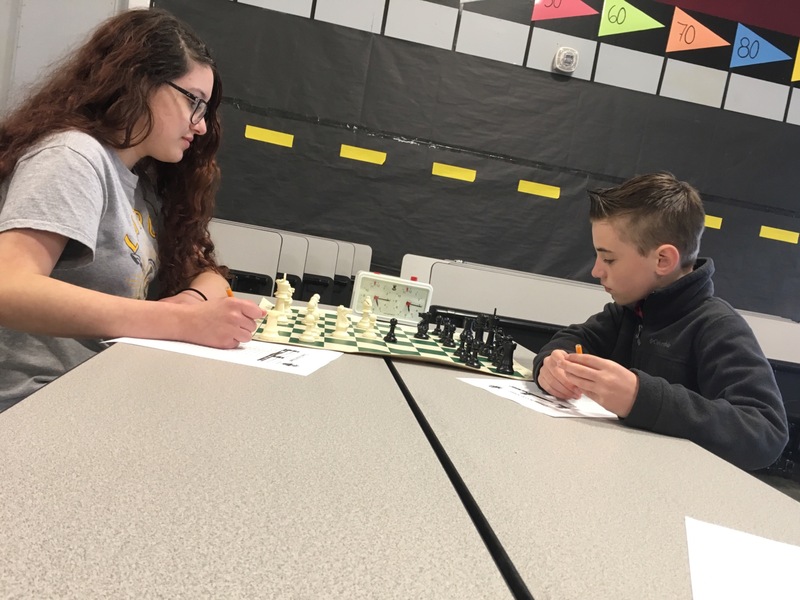 The Third Annual Lathrop Mayor’s Cup Chess Tournament was a huge success both from a chess and organizational standpoint. The hospitality and comfortable playing space offered by River Islands Technology Academy is truly unmatched for chess tournaments in San Joaquin County. Parents had access to free WiFi and fresh coffee while chess players took to the basketball court for some extra fun in between rounds. 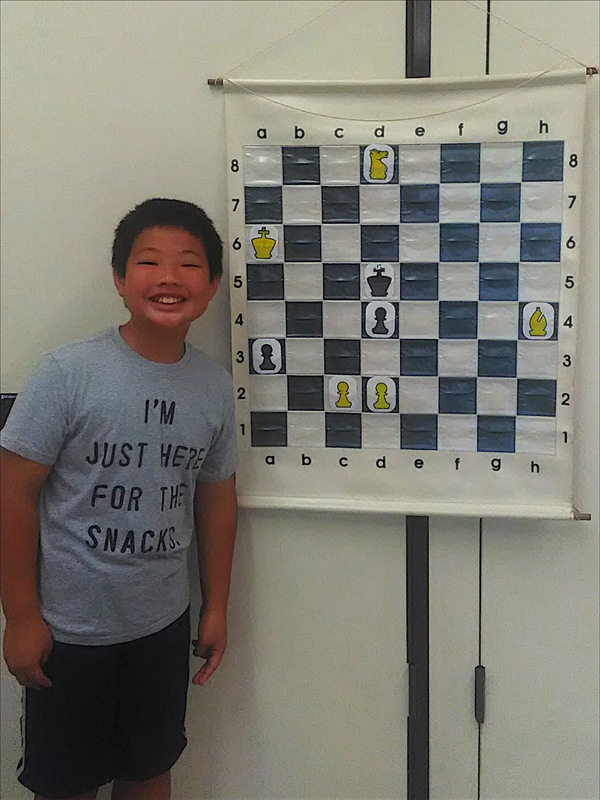 Of course the most notable feature of the Mayor’s Cup Chess Tournament was the chess skill scores of children demonstrated on their boards during the course of their five rated rounds. After each round concluded, many of the participants took time to show Chris Torres their games and gain valuable feedback from the experienced coach. 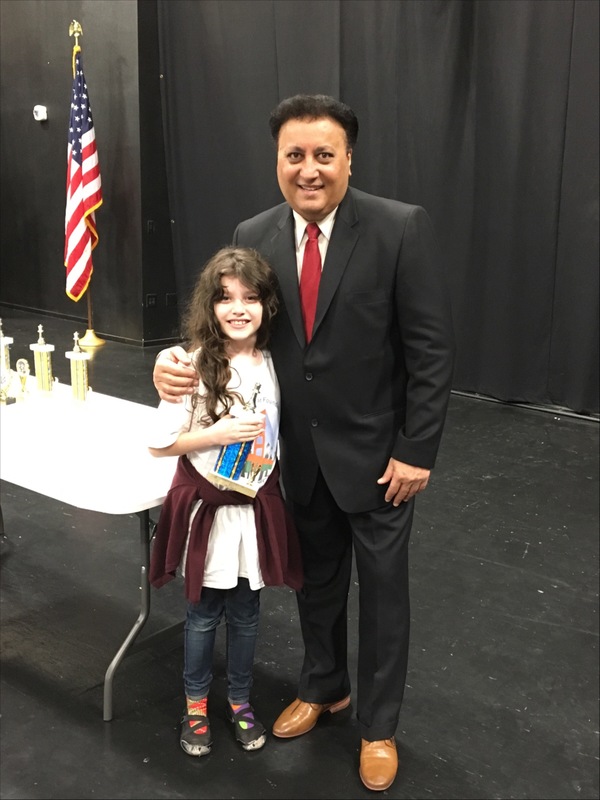 At the end of the day, all participants and their families attended an elaborate awards ceremony where the Mayor of Lathrop, Sonny Dhaliwal, addressed the crowd and distributed a prize to every young chess player. 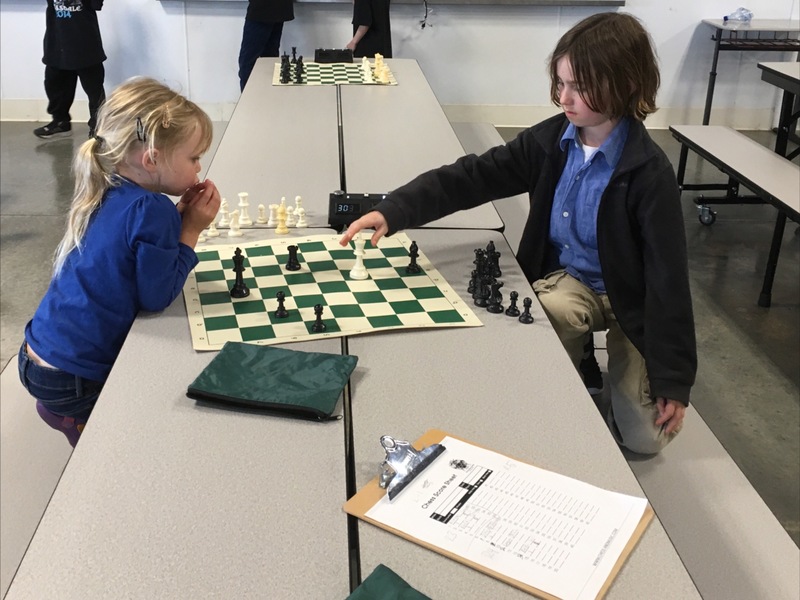 Future stars of the RitechA Chess Team Olivia Kohn and Logan Delancey. Savannah Torres-O’Callaghan and R.J. Delancey engaged in a fierce battle of wits. 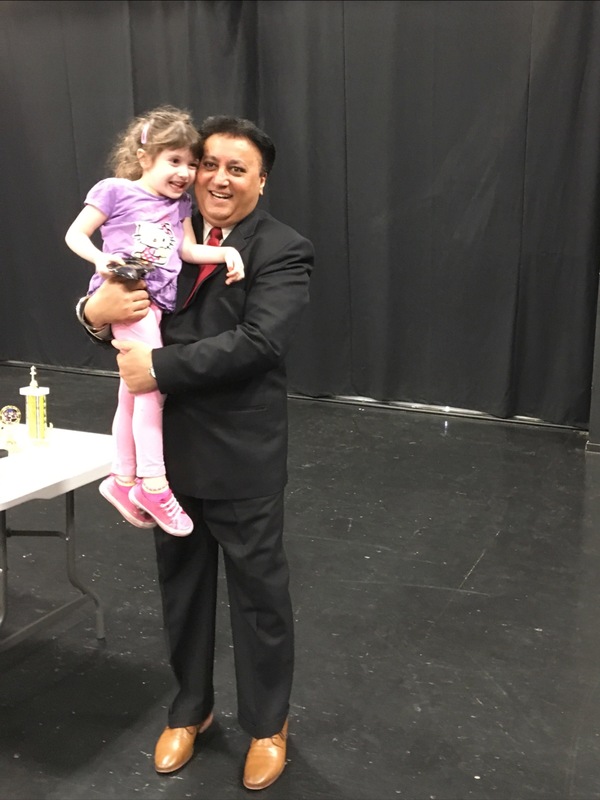 4-year-old Lilianya Torres receiving her first chess trophy from Mayor Sonny Dhaliwal. 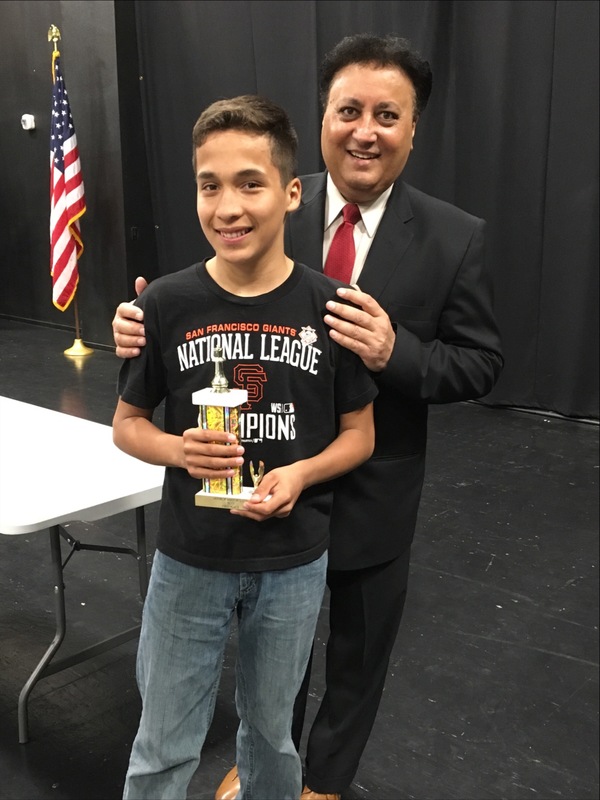 Alton Torres-O’Callaghan is the 2017 k-1 chess champion. Rosaleia Torres was a perfect 5-0 in the grade 2-3 section. 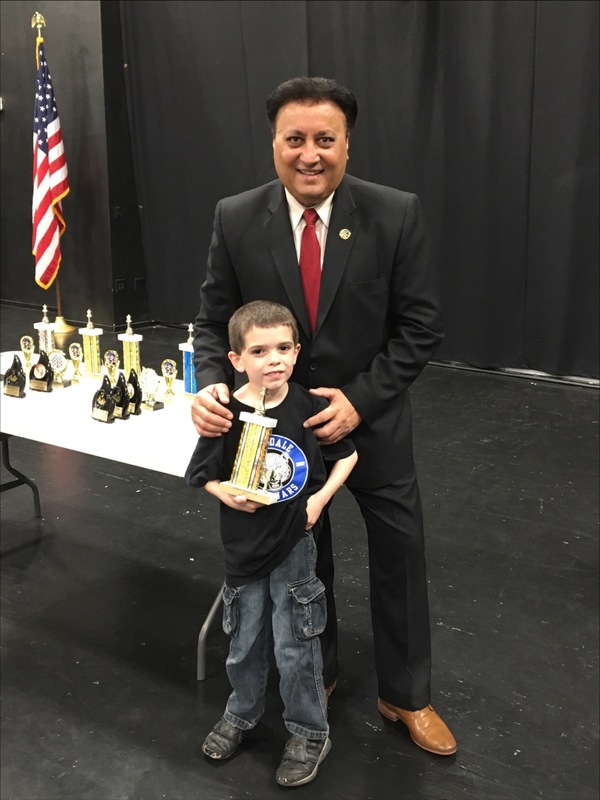 Jackson Torres-O’Callaghan being awarded the first place trophy for grades 4-5. 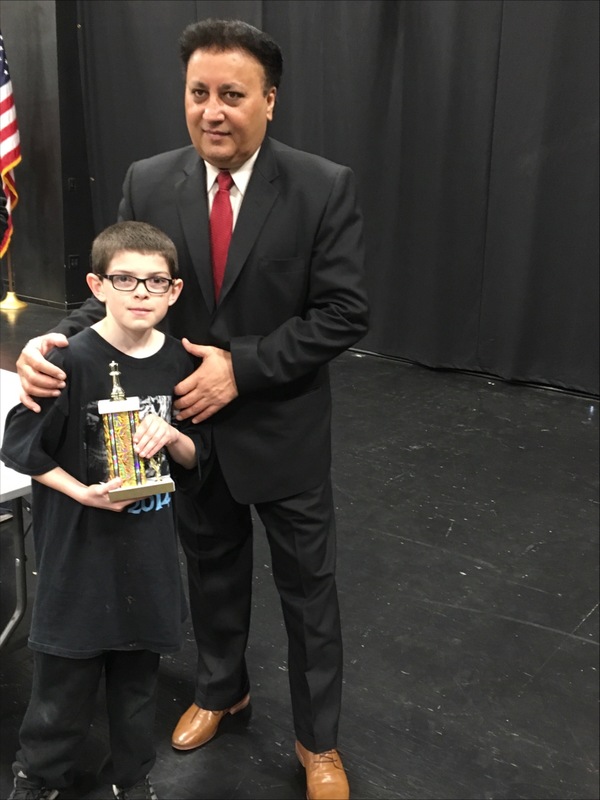 RitechA’s chess star Omar Silva took first place in the grade 6-8 section. 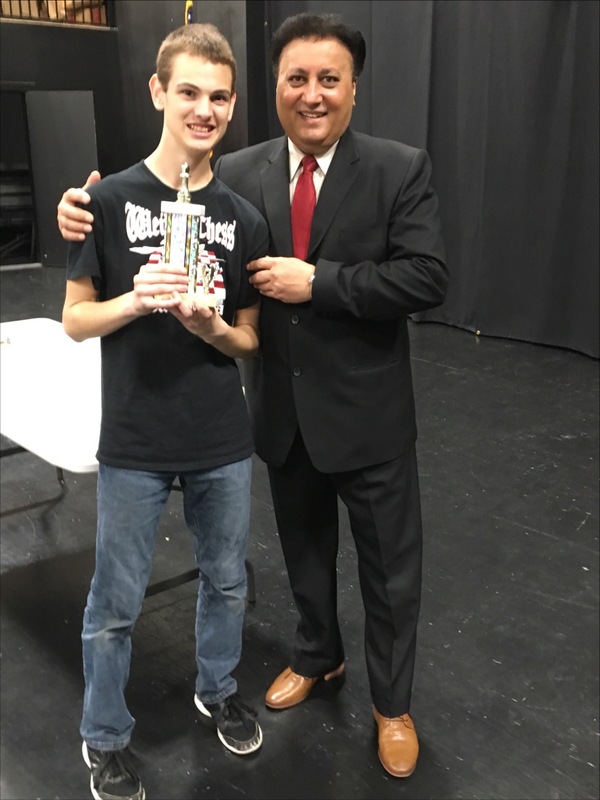 Bryan Higgason-Sprenkel went 5-0 in the highly competitive High School section. Non-Rated Section ($35/player) – Open to players who have played either 1 USCF Rated tournament or never played a tournament before. No clocks nor keeping notation is required. Also, there is no USCF membership required. Rules: 1. Touch move, touch capture. 2. Players win by checkmate or by capturing the king. 3. Players play two games against each opponent for total of 10 games. Trophies are awarded to the top 8 finishers. All others receive a medallion for participation. Registration is available online or by flyer. Please note due to time, we cannot accept any registratons onsite. Finally, please bring your own equipment which is regulation size board and pieces. 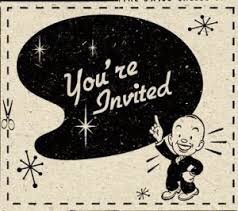 USCF Rated Section ($40/player) – There are 3 sections: Open, U1000, and U500 & UNR. The next important note is due to time, we cannot accept any Rated section entries onsite.Ratings as of October 10 will be the official ratings used for the tournament. Finally, please bring your own equipment which is regulation size board, pieces, clock, scorebook and pen/pencil. 45 minute lunch from 12:15pm-1pm. The playing room(s) will be closed during this time to all but the tournament staff. All games will be paused at 12:15 and then resumed at 1pm. Please provide your own lunches. Rounds for all sections may be started earlier than posted if approved by all players in that section(s). In the USCF rated section, one half point bye is available if notified by the beginning of the second round. Clubs must have at least one official representative at the tournament who can provide proof of each student’s club membership if asked by tournament staff. This proof is in the form of asking this representative if this student is receiving coaching each week or bi-weekly from the Club that is listed. If found not to be a member, that club will not be eligible for any club awards. 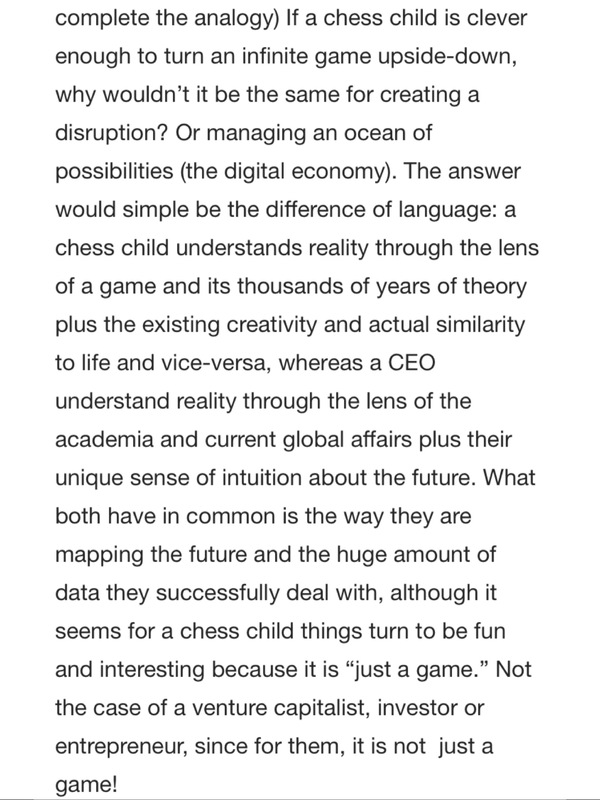 Questions: Joe Hanley 714-925-3195 or hanleychessacademy@gmail.com.